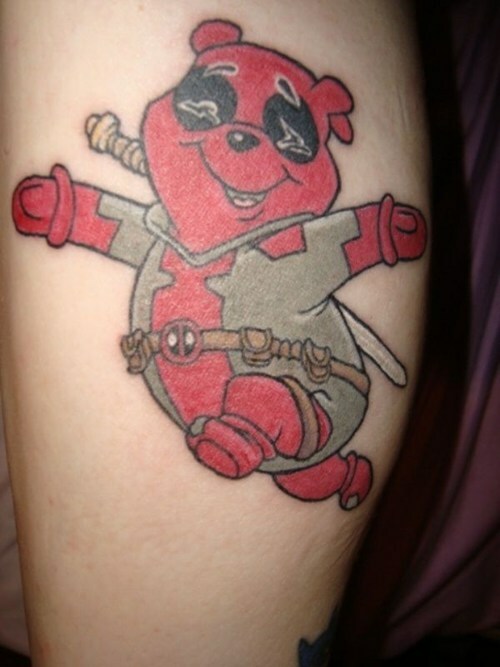 Deadpool and Winnie the Pooh mash up in tattoo form... How appropriate! I like it. Tattoo done by Tom Beste of Eternal Tattoos.